The perfect place for your next corporate function, event, party, or team building day. 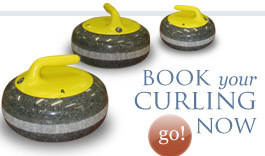 Challenge your colleagues to a friendly game of curling on our indoor curling rink. Follow up the excitement with a drink in our cozy fully licensed lounge/bar! During your day at Naseby Indoor Curling Rink you will have access to our Data Projector, and Wireless internet. 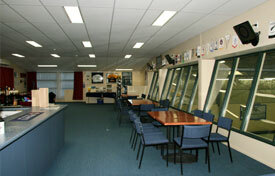 In the viewing gallery/ lounge bar, above the indoor curling rink, we can cater for up to 100 people. We have a fully licensed bar (no BYO) and full in-house catering is available. We can accommodate up to 32 people on the ice at one time. Book out the whole facility, just the ice rink, or just the lounge/bar. To encourage team work and inspiration, book your team in for a day on the ice! 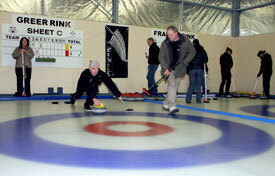 Indoor Curling can be played at any time of the year, no matter what the weather. Play for fun, or add an incentive for the winners! Curling can be as friendly or as competitive as you want! For large companies, book out the whole venue, including the viewing gallery/lounge bar. There are a range of accommodation options in Naseby for those groups wanting an overnight experience in Central Otago. Other great team building activities in the region include Golf and Mountain Biking. Check out our To See and Do page for more information! If your team is really adventurous, include a two night stay in Naseby as part of the Otago Central Rail Trail trip. Contact Us to enquire about our competitive corporate rates! Don’t forget! As well as our Indoor Curling Rink, there is also an exciting Ice Luge right next door! Also try Ice Skating, Ice Hockey or Outdoor Curling, all on the outdoor ice rink.